Trina Hoadley Photography recognizes the importance of protecting the privacy of all information provided by the users (“you”) of Trina Hoadley Photography and our website. We created the following policy guidelines with a fundamental respect for your right to privacy and to guide our relationships with you. The term “Trina Hoadley Photography" or “us” or “we” refers to the owner of the website. The term “you” refers to the user or viewer of our website. Where links to Trina Hoadley Photography (or group company) or external web pages are provided, Trina Hoadley Photography is not responsible for the privacy practices or content of those sites. 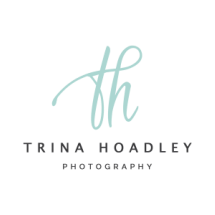 Trina Hoadley Photography does not sell, give or trade its contact lists. Your email address and other information will not be resold by us to any third parties.